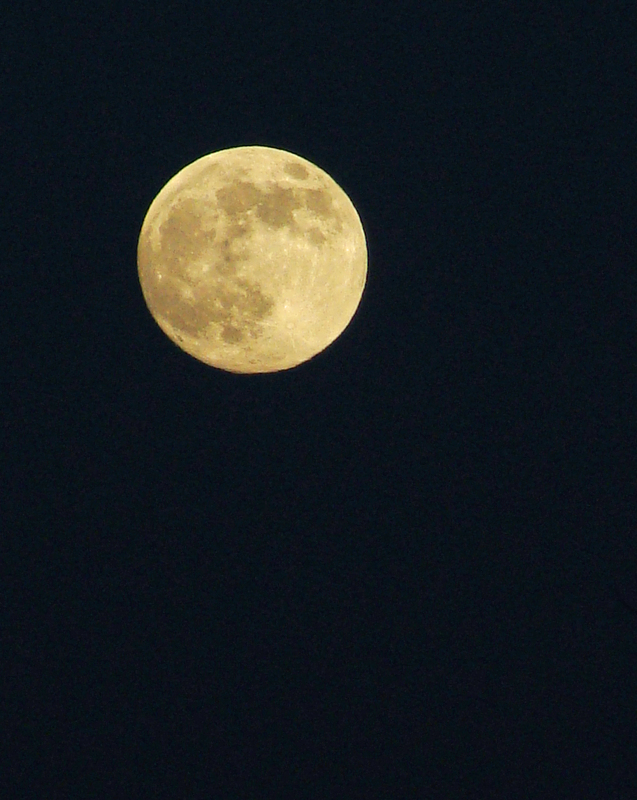 Can’t get enough photos of the moon. Even if it’s a shot we’ve already got, it’s just hard not to point the lens at our companion when the sky is right. 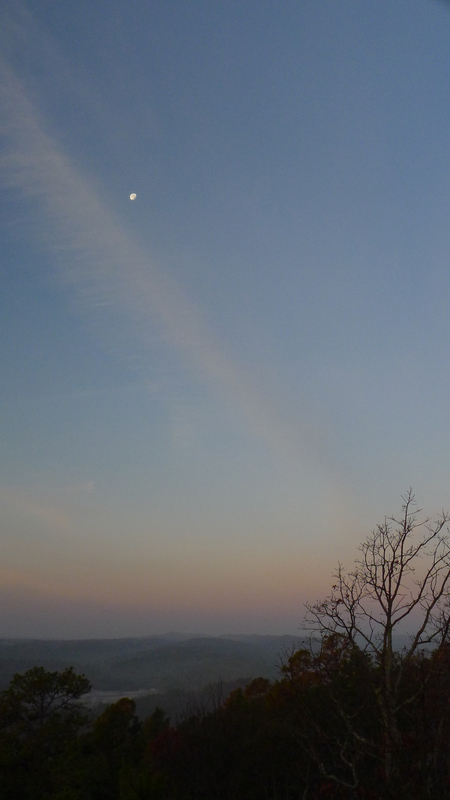 Contrail crosses the moon’s path toward setting. 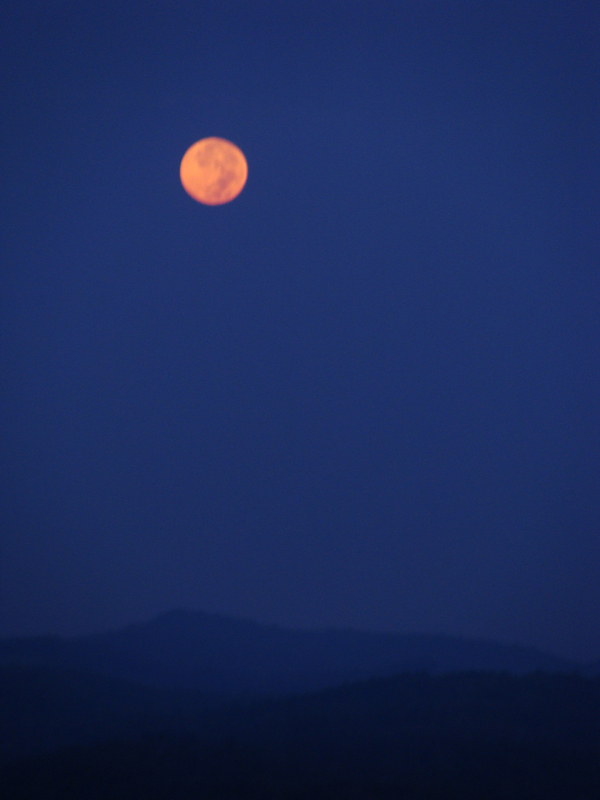 2013’s Harvest Moon shortly before setting. Feb. 9, 2012, hint of red just before disappearing. 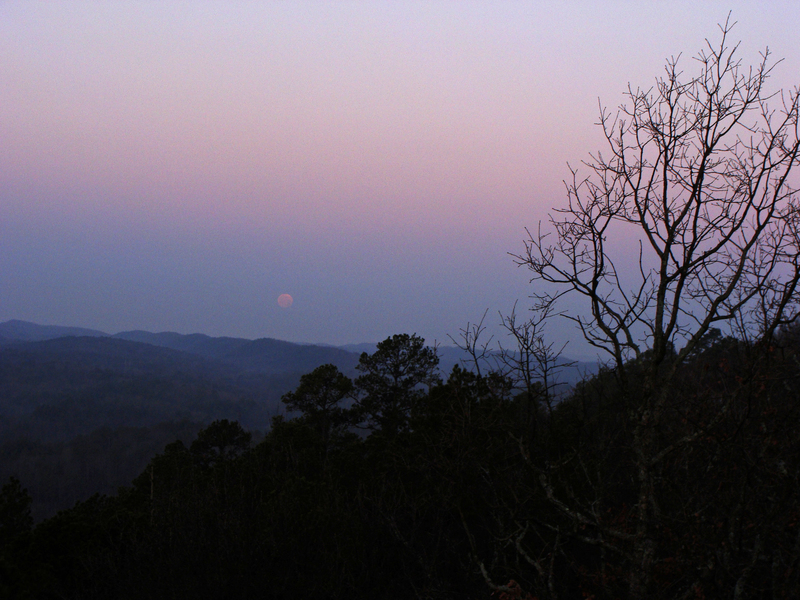 Feb. 9, 2012, moon on its way to setting. 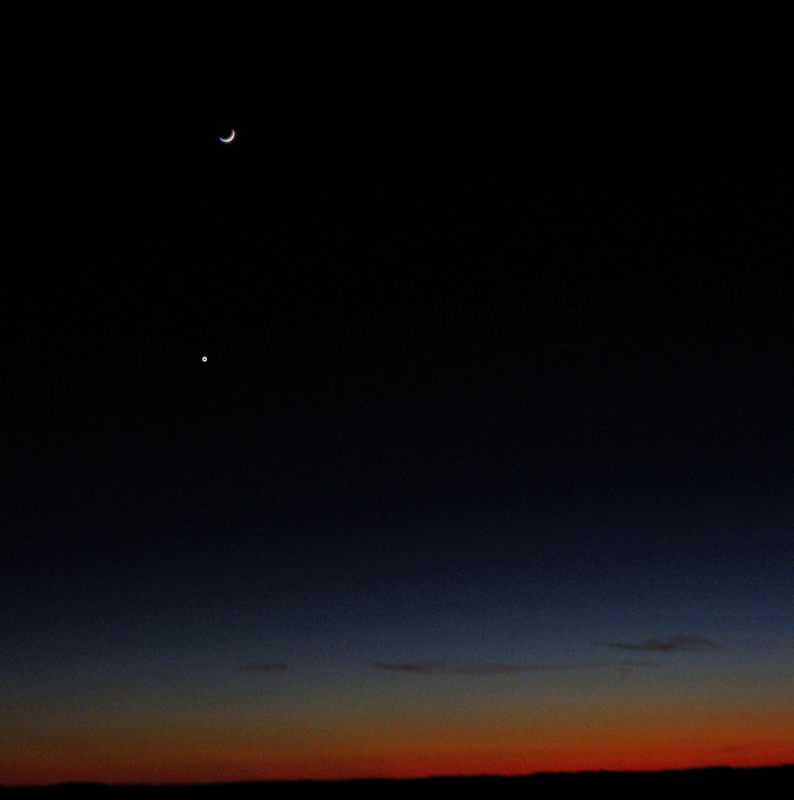 Dec. 27, 2011, crescent moon and Venus. 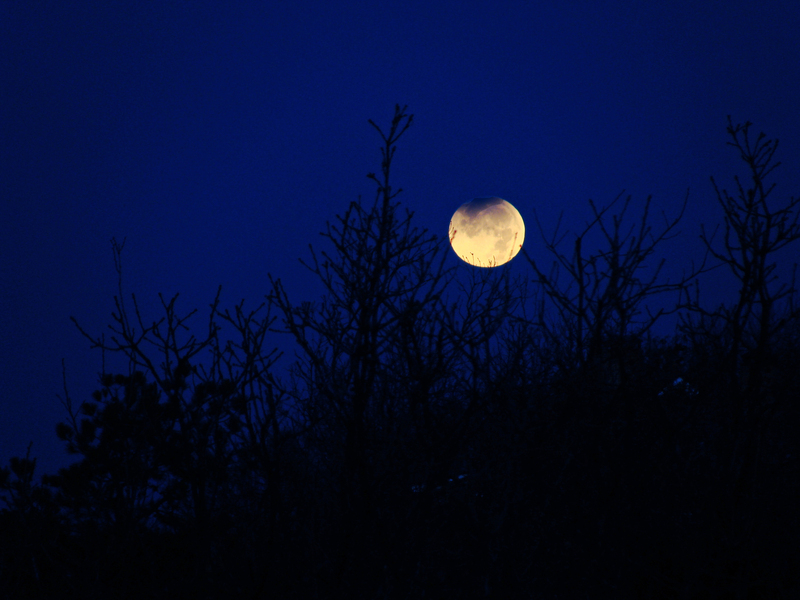 Dec. 10, 2011, lunar eclipse. 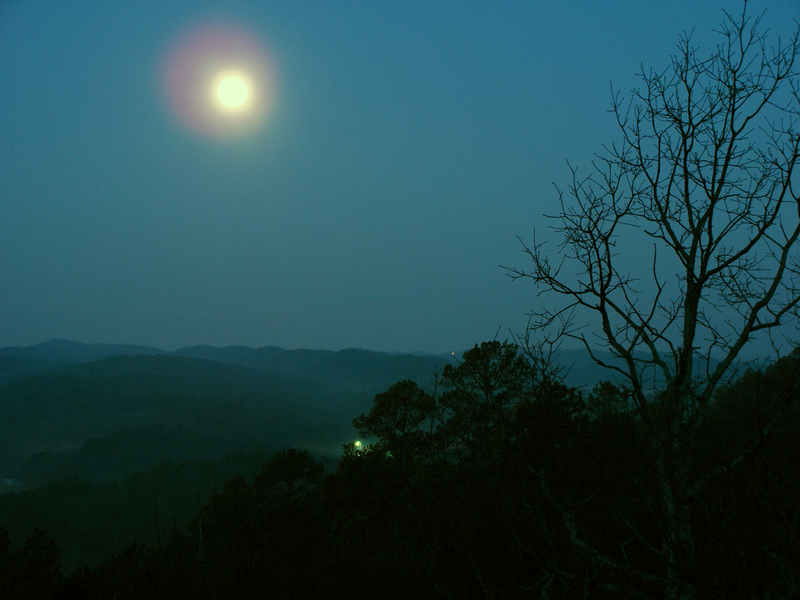 Nov. 9, 2011, day before the November full moon, known as the full beaver moon. These are great! Think I need a more powerful camera for shots like this. Thanks. It’s amazing what some of these little compact digitals can do. 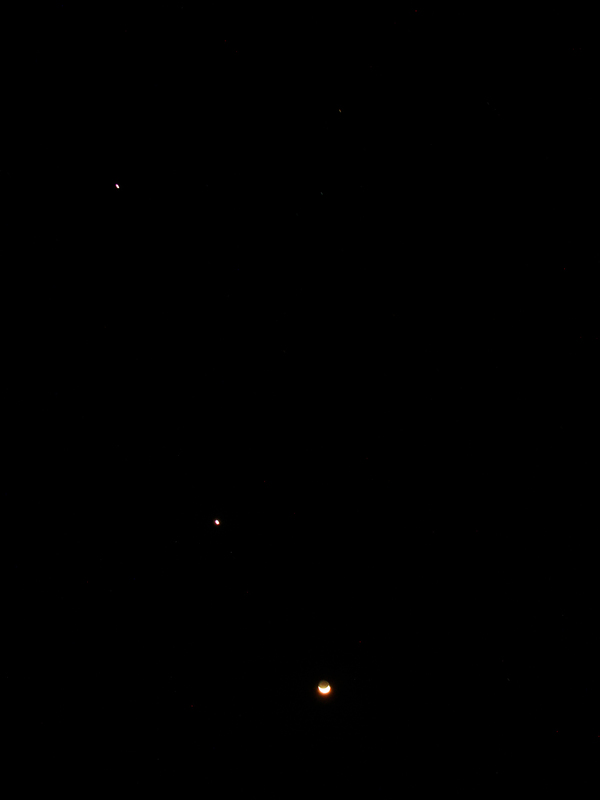 Those were all taken with a Sony Cybershot DSC H10 and usually with a tripod or other steady thing to lean upon. love the crescent moon and venus shot! those colors! sweet! Thanks! Hard not to try to shoot the sky every morning and evening around here. I love these photos! I have tried taking some moon photo long time ago and failed. Now I am anxious to give it another try. Thanks. Keep working at it! you may need a tripod or to rest your camera on something to take a long exposure.